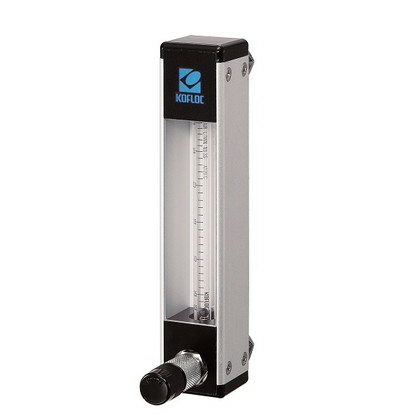 The Model RK1250 Series Flowmeter is a completely re-newed model of existing KOFLOC RK1200, designed as a flowmeter that can be integrated into the customer's equip-ment. A combination of a grade high precision float type flowmeter with a needle valve capable of very accurate flow control provides a flowmeter ideal for measurement and control of trace flows. ･The incorporated precision needle valve allows a delicate con-trol of flows. Four total lengths of the flowmeter are available: 126, 156, 206, and 256 mm, for your selection according to your needs. The needle valve can be laid out either at the top or at the bottom of the meter. Choose the type that best suits your needs. Measurement and control of water flows not exceeding 1 L/MIN are also possible.